 2x2 Actual Size - 23-3/4" x 23-3/4"
2x4 Actual Size - 23-3/4" x 47-3x4"
Our DuraClean tiles are made from UV Stabilized 1/8" (.125") thick vinyl plastic.  This durable tile is perfect for industrial and commercial areas like; bottling and food processing plants, food preparation areas, schools, dorms, daycare, and educational facilities. Constructed from 100% PVC Vinyl, our DuraClean tiles are Class A Fire Rated and can be washed over and over without any damage to them. Backed by our 25 Year ProShield Warranty, DuraClean tiles are built for a lifetime of use. 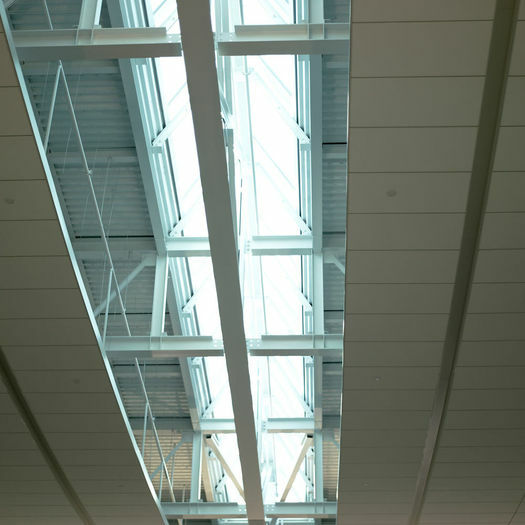 DuraClean panels can quickly and easily fit into almost any ceiling grid system. 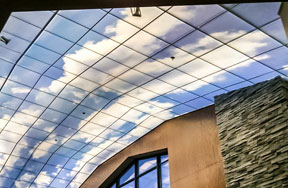 Available in the same size as any typical 2' x 2' ceiling tile, it can be the uncomplicated replacement for the tiles that are seen and found in any typical office locale. There are some grids that use a "stab and connect" system that may cause the corners of the tile to sit higher than the rest of the tile. 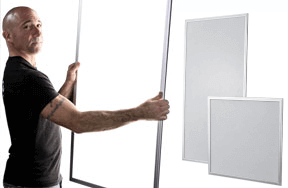 Upon receiving the panels, acclimate them to the room environment for at least 72 hours before installing. Be sure to store the ceiling tiles by stacking them flat and not on their edges. For instance, do not lean the box of tiles vertically against the wall. This can cause the tiles to bend. When installing DuraClean tiles in ceilings with sprinkler systems, leave at least a 1/4" gap around the edge of the sprinkler bezel to the tile. This allows the tile to fall away from the ceiling during a fire and not foul the sprinkler system. To cut any DuraClean panel, mark and score the face of the tile with a utility knife and snap it away from the cut. A skill or table saw can also be used in cutting multiple tiles at once and a RotoZip or hole-saw for odd sizes shapes and circular holes - like sprinkler heads or can lights. Use a mild soap and water solution or most household cleaners to clean the DuraClean ceiling tiles. Just spray the cleaner onto a clean rag and wipe. Power-washing DuraClean panels is also an option, but avoid placing the spray nozzle tip too close to the panel in order to prevent damage to the tile face. The tiles are unaffected by most corrosive chemicals, but you should avoid using acidic cleaners. Do not use abrasive cleansers to scrub. Things happen; leaks in the roof, cooking mishaps, kids, we get it! All of these things can lead to stained tiles. Since the DuraClean tiles are mold/mildew resistant and washable, stains are easy to clean and you won’t have to worry about replacing them repeatedly! You have the option of installing them in the grid alone, or putting them directly under existing acoustic tiles, and you can lay regular insulation right on top of the tile. Also, because the DuraClean is flat, these tiles are easily cut so they are perfect for using in rooms with partial tiles around the perimeter. What’s not to love? Product has been tested in accordance with ASTM 84e and scored a Class A rating for flame spread and smoke generation. Very pleased with this product would highly recommend. Will be doing our old office next . They are easy to clean and look great if you have to have a drop ceiling. 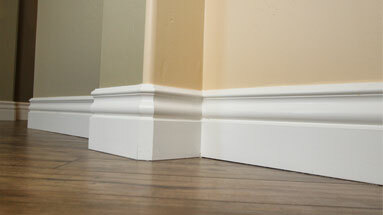 I installed 120 of these and about 75 of them do not lay flat in all 4 corners. Took some down and put weights on them to flatten but did not work. Also they attract dust easily. Still happy with the total outcome. Used them together in an irregular pattern with the Florence Ceiling tile in antique copper which is very nice! Tiles are easy to install and are easy to cut to shape with one score of a sharp knife. They are only 1/4 " thick but do the job. Not sound deadening value but serve the purpose of blacking out the ceiling quite well. Only complaint is that they are a bit statically charged and dirt or dust is very attracted to them and might need cleaning after installation. Overall its a good product for the price and would order them again if needed. 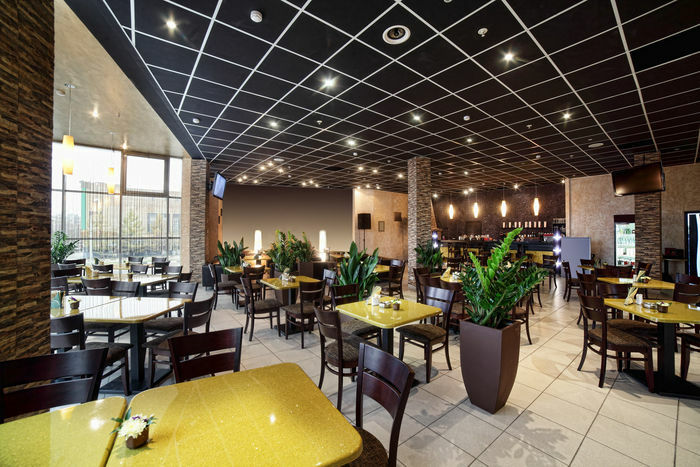 These tiles are much easier to use than conventional ceiling tiles. Viable replacement for older, bulky and heavier tiles. Good overall shopping experience. Immediate help when needed. These guys listen and deliver. Don't think twice. Looks so much better than before! Very happy with this purchase. My husband installed them so I was not involved with that part, but the final product looked great. The only problem was that for one room, the grid itself was not white so we had to replace that first. Finding white grid components at Lowes that were not bent, and not bending them on the way home was a challenge but doable. Looks SO MUCH better than the old "bumpy" opaque plastic ceiling tiles we had. I replaced a mildewed suspended ceiling in a bathroom with these tiles and 2x2 LED flat panel lighting. This improvement added 20 times its cost to the resale value of the home. The tiles are in very good quality. More importantly, when I tried to return excessive, unused tiles, Julie Higginbottom helped me all ways without any hassle. Love these ceiling tiles! The smooth look gives an updated look. Much easier to install than the crumbling old kind. Perfect..the ceiling tile blends right in. 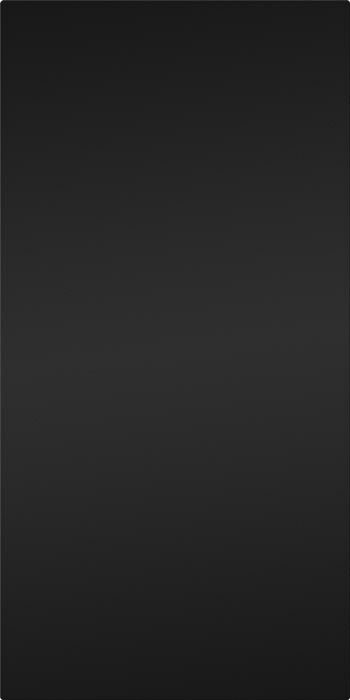 Product is excellent and customer service was even better. the room looks a lot better. We needed something that would hold up against high humidity. They were just put in 2 weeks ago. Professional and the fastest delivery ever! Tiles are much better than old style tiles, smooth surface, easy to clean, and no debris falling when you take out or install. Very lightweight and easy to install and clean. 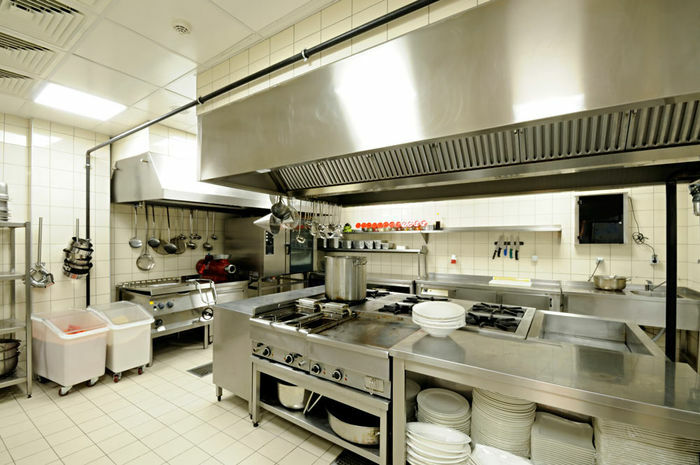 Perfect for commercial kitchens, easy to clean . Shipping was fast and the tiles were easy to work with. We first ordered several ceiling tile samples. They arrive promptly and helped us have a better idea of what would look best in our basement. 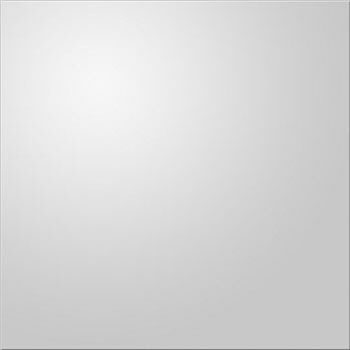 We chose the DuraClean Smooth White ceiling tiles. Our order arrived on time and in good shape. The tiles are a nice bright white. We are very pleased with the result. The tiles fit nicely in our CeilingMax grid. No sagging or gaps. I especially like the fact that the tiles are washable. Thank you for your feedback, Keith! We're sorry to hear that the tiles do not lay as flat as traditional tiles in your system. There are a few suggestions that we would like to offer that we hope will resolve the problem. First, flip a few tiles over in the grid to see if they will lay flat on their other side. If the tiles lay flat after flipping them, they may not have acclimated to the room before installation, and the remainder of the tiles may lie flat as well when flipped. If the tiles still do not lie flat even after flipping them, it would be best to measure the spaces where the tiles are to be installed. There is the possibility that the grid system might be misaligned causing them to bow from a tight fit. Adjust the grid if that turns out to be the case. If neither of these suggestions solves the problem, we would then suggest re-installing the original acoustic tiles above the Duracleans, or placing something small to act as weights in the corners of each tile. This is to help the corners lay flush in the grid. Please don’t hesitate to contact us if we can assist you any further with this issue! The tiles are smooth and have a nice simple finish and are white, as I had hoped, however they are so thin that they are extremely light and therefore don't have enough weight to keep them in place. this also causes them not to lie flat. I would re-do it, but paid a contractor $600 to install them. My application was a simple laundry room ceiling and I used a standard new grid system. Sorry I could not be more positive. Everything I expected. Service was the best! I love my new smooth white ceiling tiles. They were exactly wha I was looking for and they look great. Nice and white and clean looking. Delivery was fast and I love this company. I've used before and never any problems. These tiles are awesome. Light weight, yet durable. Used them in our school kitchen to replace old dingy tiles and they fit into the grid system exactly. Our maintenance department reported that they are easy to cut and clean. Thanks for a great product. We replaced a ton of old, terrible looking ceiling tiles in our basement with the DuraClean Smooth tiles. They made such a difference in making the area look brighter. Very easy to cut, when needed, and install. They are very thin so they won't provide a noise buffer if you need that but if you're just looking for a decorative refresh, it did the trick for us. Looks great and easy to maintain! Product was shipped right away and extremely easy to install. The tiles arrived on time and look great! Thy are easy to work with and cut simply with a utility knife. Giving 4 stars because some tiles arrived damaged with marks on them. I was able to flip them around but they were still damaged. They were just as we were hoping ! They look great! Looks great. Cleans easy. Doesn’t warp or stain. Delivery was on time and product was easy to cut to size and easy to install. We used this ceiling tile for the border for the Petal tiles and it turned out perfect. These tiles were just a little off color( I was told that they would be before I purchased) but the border was only a 1" wide so it was not noticeable and worked perfect. Thank you! A little thicker than the other tiles but easy to work with and made a nice clean looking border. They are not the same white as the other tiles but they were close enough. Also - handle with care as they do dent and ding a little if mishandled. Good packaging, fast shipping and great customer service. I like the product will recommend to friends too. The tiles are great, easy to work with. I would recommend scoring to cut with a sturdy utility knife. I was using a regular knife and/or strong scissors at the start and the project went much easier when I spent $5 to get the right tool for the job. Easy after that! After installing these in the grids I am very disappointed that they do not lay flat. All four corners are rolling up and looks like crap. I can not see any way to fix this issue other than to put some sort of weights on each corner. Very disappointed to say the least. We’re very sorry to hear about your unhappiness with your purchase! Rolling corners is certainly not feedback we receive on these tiles, but we think we might have some ideas that can help. One of our representatives will be in touch with you very soon. We look forward to speaking with you! These tiles worked perfectly to replace our old drooping tiles. Here are what I found to be the pros and cons: Pros: - Easy to cut, scar it with a utility knife and snap it, or two passes of the knife cut clean through - Smooth, clean look - Water proof - Cleans easy with a duster - Comes with a protective film to peel off to protect the surface - Light weight - Price and delivery was fast Cons: - A little thin, I hope over time they don't sag. With the support on all 4 sides I think they will be fine - Static cling. They clean off easy with a duster though - Fairly soft material, so don't throw a hammer on the box as it could dent them Overall I'm highly pleased and would recommend these. Timely shipping, securely packed. Product is easy to work with and looks great. Definitely an upgrade from the traditional ceiling tiles. Time, hassle savings, and the look are well worth the price. Great products, shipped on time and fantastic service from Sales lady Alyssa. The old tiles were beige and textured. These make all the difference in my basement. Highly recommend. Used these along with a Ceiling Max grid system for a basement bathroom. The tiles were very easy to work with and look great. No complaints. Nice finishing touch to our plant. Easy to install washable tiles for my production area. Would recommend for any installation in food service or restaurant environment. Very easy to cut and lightweight. 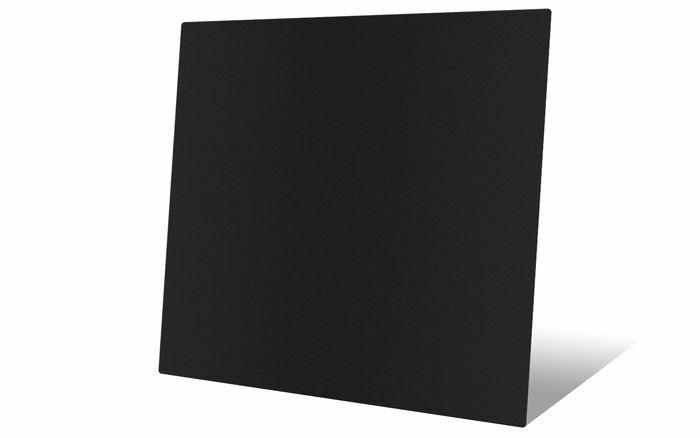 who doesn't love washable ceiling tiles..
great for damp/wet production areas .. fit perfectly.. good value and great customer service.. they arrive quickly without issue... a great overall product.. I used these in a basement project and they were perfect. I like the material and the build of the tiles as well as the ease of installation. Received shipment as ordered and they look very durable and easy to clean. Installing in a Commercial Restaurant so needed something that was fire rated and approved for commercial use and in kitchen area. Would definitely recommend this product. Great product for the price. Will be ordering more from this company for the dining area. I was worried that I would have to custom fit each tile but they fit perfectly. I bought the drop ceiling grid at HD and they come pre perforated for 2 ft. And tiles dropped in perfect. I tried placing the tiles beneath the sound proofing thicker tiles in my suspension ceiling. It was generally OK. Easy to install. But there were gaps between the support metal and the tiles in some places that were not previously noticeable. Came well packed and easy installation, would use agsin and recommend to others. I used this in my Woodshop/Garage. Very easy to cut with a utility knife and my table saw. Bright White, easy to clean and just flexible enough to fit easily. Surprised at the flexibility and light weight of these panels. Pleased with the shipping, none damaged. After repainting all the ceiling grid the clean, sleek look is amazing. Used this tile to replace traditional fiber tiles in a computer clean room. Looks great and makes the room 'feel cleaner'. I would recommend for this purpose. Good strong white tile! Used these where I put up lights in a drop ceiling. Easy to install and cut, if needed. Makes the room look fresh and clean, not like an office!! We wanted to get rid of the typical 'popcorn' type tile from the hardware store. This gave the room a much more upscale look. Like a regular smooth, painted ceiling. Very easy to cut to size as needed. Easy order, quick delivery, best price!!! Extremely satisfied!! The tiles look great and do not show water stains. Beautiful and very easy to install!!!!!!! We had the oldcrumbly type of ceiling tiles in our bedroom and had recent water damage to that room, I searched online and found these duraclean smooth ceiling tiles, read the reviews and ordered for replacement and I just absolutely love them, they made the room so much brighter. I will purchase more as needed, I'll never go back with any other ceiling tile, love, love, love them. This ceiling tile was perfect for my basement. I had limited room above drop ceiling so these thin tiles where a perfect fit. Even though the tiles are thin they look incredible and I could not be more happy with the product. They are really smooth for a real clean finish! Fully recommend this product! So light and easy to cut. Would purchase again. 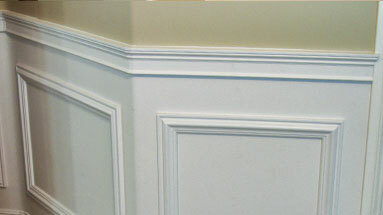 These were so easy to install, and for the corners and odd shapes, easy to score and snap for the right shape. These panels totally transformed the room. Highly recommended! I had problems with communication and delivery which was frustrating. These tiles are simple, plain white durable easy to cut with a simple utility knife. Just thick enough to have strength yet thin enough to bend a little to install in shallow circumstances where normal ceiling tile would break. I really like these. I used some in an outside canopy. They are waterproof as well being PVC. I was very pleased and would recommend these to anyone. Because of the height of the ceiling we could not use the fiber tiles to thick and didn't bend. These tiles were great. Easy to cut, flexible. Everything turned out nice, look great! I am using these tiles in a new bathroom and I love how they look and how easy they are to keep clean. I would definitely order this product again. Customer service was informative. Shipping was fast. Price is reasonable. The tiles were very handy and easily installable. A single person can easily install the tiles. Easy to cut, light weight. After completing one room and I want to order the same for another room. I liked these tiles and strongly recommend the same. We built a morgue and needed complete washability. DONE. Thanks. The tiles are... and look great. Great price. We looked everywhere and we found these here and the cheapest price with free shipping! I highly recommend! I used these tiles to replace standard acoustic tiles in a bathroom. The original tiles had become moldy from the moisture and these seemed like a good alternative because they are washable. Once up, they looked great, especially after I installed the grid covers. The project made a big difference in the bathroom. Works great in areas that require washing and or get damp due to leaks and humidity. We had no issues with the shipping and packaging of the tiles. None of the tiles were damaged when they arrived. 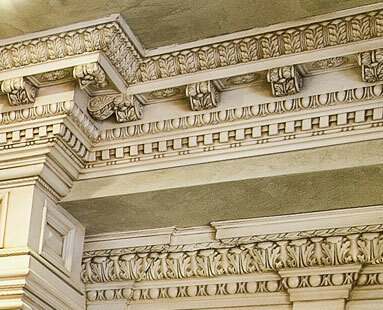 They are extremely easy to work; easy to cut with a utility knife or dremel. We had 5 holes to cut in the tiles for recessed lighting and didn't have any trouble. They were easier to put in then regular tiles because they were thinner and a little flexible for tight areas. I only had two issues with these tiles. First - they get scratched/marked very easily. Yes, you can wipe them and wash them, but there was a couple times where they scraped across the suspended ceiling track or wires and got marked up. I even left a permanent mark with the vacuum hose that wouldn't wipe off. After the first couple marks, I started handling them extremely carefully to prevent damages. I would have given them 5 stars if not for this issue. The second issue, is the sound. If you're replacing existing acoustic tiles, be prepared for a very noticeable change in sound. Everyone in the house made comments like "why does it echo in here now?" We put the tiles in the kitchen so between the tile floor and these tiles on the ceiling, the sound is very hollow and "echo-y". After a couple months though, we've started to get used to it. Overall these tiles are great looking and easy to work with. I wouldn't hesitate buying these again in the future for a similar project. The tile was as described, easy to cut and install and arrived quickly. They do make the room very "alive." We installed in a foyer with tile floors and the room is quite loud now. Ceiling tiles arrived on time and as promised. This saved the inefficiency of a store visit. We decided to go with the smooth surfaced tiles over the traditional popcorn or decorative choices. If you're choosing a decorative tile remember that your cuts around the edges make the rest of the tile useless UNLESS- you use a non-decorative like the DuraClean Smooth. You can use the same cut tile (Provided it fits the cut dimensions) until you run out of tile. In other words, no throwing away 3/4 pieces of tile because you have to match the pattern/flow. That alone saved use from having to buy an extra box or 2 of tiles. The only "con" is that they are super thin - however we knew that going in - it says it right on the site... The "con" is really only b/c we wish this tile were just a little bit thicker. Despite the thinness of the tile, they hold lighting really well and don't really bow unless you put a lot of weight on them. Great product 1000% happy!! In my point of view it is good, I liked them so much price wise and look wise but the only problem is that it is thin and light weight it might not last long. Tiles are not white, more like an egg shell. Cut and install are a breeze. only real complaint is I wish they were a little more thicker.. tiles will brake simply by dropping. sometimes are a snug fit in the grid work and need to be slightly adjusted. Other wise all around decent replacement item for the original paper ones. One highlight is if there is water damage they hold up since they are plastic . The tiles are for our fishing boat. The crew liked it! The tiles add brightness to the galley. I actually just finished the project yesterday. Cutting around lally columns is always a chore, but these tiles are flexible and you don't need to cit the tile in 1/2, just score it an bend it around the pole. It's great.....very happy! Looks great in laundry room. Initial contractor put DRYWALL in suspended ceiling. Happy customer. Very fast delivery. Product is easy to cut and handle. Tiles lay flat and I have not had any warping due to humid restaurant kitchen. Easy to clean. Wish they would have been around years ago. These made the room look great! These ceiling tiles were just what we were hoping for. 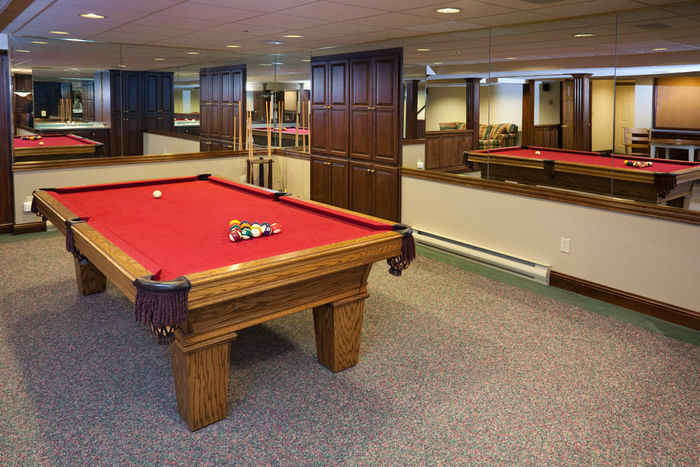 We replaced sagging, dingy, 30-year old tiles and our basement has been transformed. The look is clean and bright. These tiles were easy to work with; easy to cut; light and sturdy. The price was reasonable and delivery was super fast. We are delighted. The flat white ceiling tiles gave the perfect look to my basement bathroom because of all the pipes running along the ceiling, a drop down was the only answer. Looks great and does exactly what i need. would use this company if i ever need them again. The ceiling tile looks fantastic and was so easy to install. Would recommend them to anyone replacing suspended tiles. Looks great and work like a charm! We bought these ceiling tiles for our restaurant restrooms and soda fountain area. They look great, were easy to work with and are waterproof/washable - everything we were looking for!! Awesome tile to work with. Great product, easy to cut, very light yet sturdy. Also easy to clean. This product worked excellent for my project at my restaurant to help me pass the health inspection. It was easy to cut, fit prefect, and I love the look it gave my restroom. The narrow width of the tiles was great in our basement. The house was built in the 70's with a low clearance and these tiles allowed us to make the ceiling as high as possible. Got exactly what we are were looking for and they had a great price. Will be ordering from them in the in the future. I used this for a bathroom remodel where there was not allot of clearance above the old tiles. First off this product is very easy to work in terms or cutting and flexibility and it cleans up nicely. It is lighter in weight and a true white in color. I liked it so much i purchased another box to replace another area with old drop ceiling tiles. Room looks brighter and cleaner, the ceiling tiles are easy to clean. Super lightweight, multi-functional product, would purchase again. Prompt delivery, just what I expected, looks great in our bathroom. We were looking for something plain and waterproof to replace the tile in our basement bathroom. The tiles were easy to cut and super lightweight. We just used a utility knife to custom cut some of the tiles to fit around shower wall and along the outside edges of the room. 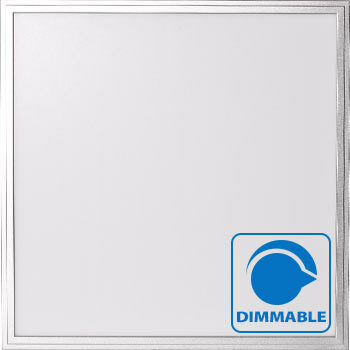 It was very good product and the room looks very clean and the material is good and sturdy. Fast shipping as it was very important for the project we were working on. The tile is easy to work with and makes the room look nice. I initially wanted a decorative tile but those were too thin for my liking (think paper thin). The DuraClean Smooth tile is close to 1/4" thick and is a great alternative to the old fiberboard tiles that accumulate years of dust. The tiles can be a bit statically charged so I would recommend working with them in as clean of an environment as possible. The box comes with 12 tiles packed back to back with no means of separation. I would have preferred each tile to be divided from one another because all of the tiles had marks on them where you could tell they had been rubbing together. Soap and water cleaned most of them up but some are worse than others and the rub marks couldn't be removed. Other than the packaging issue I have been totally satisfied with the tiles. Made the room brighter and the ceiling cleaner now that the fiber ones have been removed. Ran into an issue when receiving the tiles. Called UDecor, and they took care of everything in a very fashionable manner. Very courteous, fast, and professional. Definitely recommend their products. Makes for easy cleaning of ceiling tiles in our restaurant. Replaced the 20yr tiles in my basement and these work very well, easy to cut and clean. Very fast shipping and very good quality. I decided to install a hung ceiling and wanted waterproof and easily cleanable ceiling tiles. The DuraClean Smooth White 2 x 2 Ceiling Tiles surpassed my expectations. They were VERY easy to cut and install. They were installed in a lower level bathroom that was beneath the upstairs bathroom. I also wanted access to the overhead plumbing should the need ever arise. 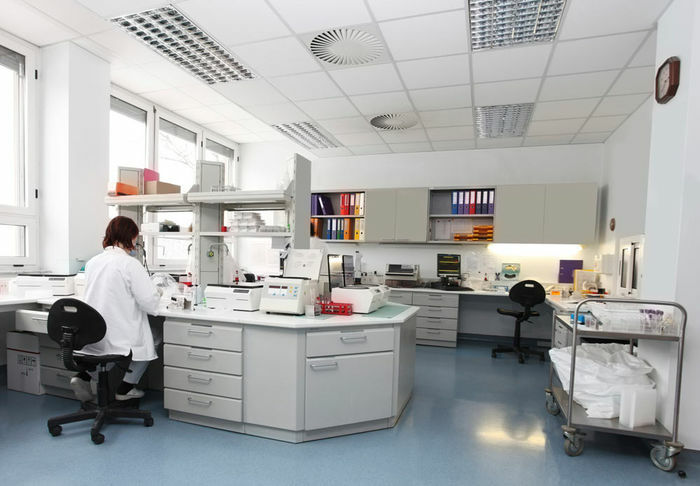 I also do not have to worry about dust, dirt, dampness and mold accumulation as with acoustical tiles. These are easily removable and cleanable. These tiles were also considerably less expensive than some of the name brands of ceiling tiles. no more stains from a previous leak. Tiles from different boxes slightly different shades of white which is noticeable in ceiling first box had a lot of scratches and imperfections. you did replace one we couldn't use. were much easier to get in a very tight space than traditional tiles. 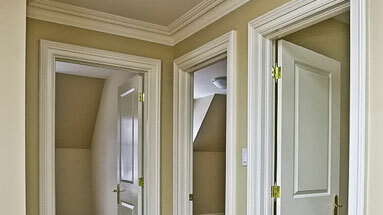 Served the purpose for just what we wanted for the 2 W/I closets, laundry room, and pantry. Looks great. I used this in a bathroom remodel where i did not have enough clearance for traditional ceiling tile. It is very easy to work with. Flexible and not messy and is easy to wipe clean. I was looking for a simple design to finish off our basement ceiling. These tiles worked great and were easy to cut to add down lighting and HVAC vents. 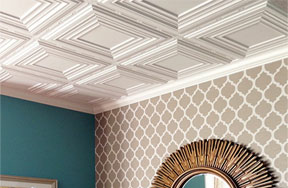 This is a great ceiling, eveyone loves it, very easy to clean and cut. 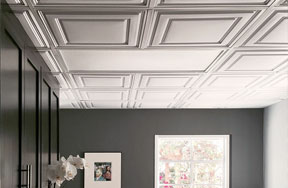 For ceilings that have no space to install this is perfect, love it and very fast shipping. Thanks!! The thin and more rigid nature of these tiles made them a great fit in my basement bathroom. I have many pipes and wires to work around and the cellulose tiles I had used before were a nightmare if I had to take them out. Cutting the holes for can lights and vent fan was somewhat tough. I'm not sure what the best tool for the job is. I used a utility knife and it took several passes to cut. Overall I am very satisfied with the new tiles and would recommend them. I was very happy with the customer service of this company and how quickly I could get the product in our hands. shipping was quick and these tiles are easy to place. The downside is that if that they are thin and do need additional insulation above them or it does get drafty. I chose these tiles for a small project in a basement bathroom. They cut on the table saw squarely with absolutely no chip-out. Installation was simple, except where I put some down-can lights. Needed to bend the tiles quite a bit to get into the tighter spots but they worked perfectly. This is not the tile's fault but the beauty ring on the can lights tends to pull the tile up a bit. I need to figure out some sort of spacer to keep everything flat. Very easy to working and simply install! Awesome. 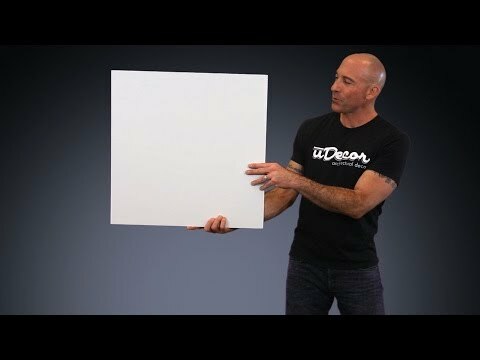 I recommends to people purchase that because it's easy to install 2x2 than purchase any home depot or lowe's ceiling tile cheap. I will order more ceiling tile because have unfinished some area the ceiling tile after remodel complete. Very happy w/ customer service, product and price. Have already ordered again. Selection was great. Order process was simple. Delivery was fast. These thin and flexible tiles fit nicely into the tight space we had between the t-bar and the joists, allowing us to maximize head room in our walk in pantry. Couldn't be happier. I used these tiles in a commercial building to replace old ceiling tiles, they were easy to install even though I had a lot of cutting to do. also very little waste even with the cutting. If i need ceiling tiles again either for replacement or new const. I will use these tiles for sure. We used these tiles for the ceiling of an enclosed porch that occasionally had water leaks from the deck above it. We needed something waterproof and good looking. We had too many cuts around ceiling lights for one of the fancy patterns, and so had to choose a plain tile. These matte ceiling tiles look classy and simple and were perfect for our job. Worked perfectly and looked good in our high humidity areas. And I plan on ordering more in the near future. Installed in a basement existing grid system. No room what so ever for a normal 2 x 2 tile these worked out because they very thin, strong, and flexible. They went in with no problem at all good solution for my application. Looks really good, but the accoustics in the room have changed dramatically. I would definitely use this product again. You get what you pay for but that's not a bad thing here. These are not the 'best' tiles in the world, but as my headline says, I bought them because they were cheap and I could not afford really great tiles. Plus this is a spare room that isn't frequently used or seen by visitors. Pros: Very flexible and easy to install. Lightweight and fairly easy to clean. Easy to cut. Cons: Very thin and bend easily in the tracks so you have to be careful setting them. Also they're mostly PVC and as easy as they may be to clean they build static electricity very easily and thus attract dust and dirt very easily. Overall a solid purchase though for basements or small office spaces/spare rooms. The tiles worked great...our kitchen looks cleaner, brighter. 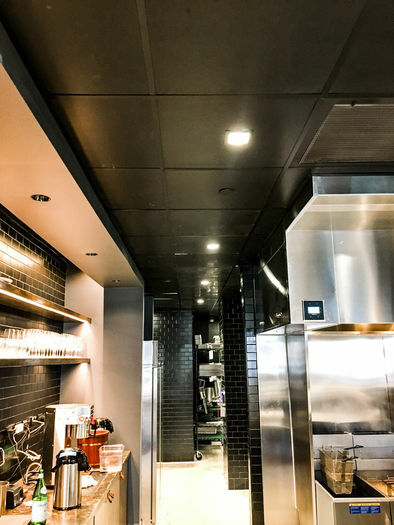 I was forced to change the ceiling tiles in my commercial kitchen, I chose the DuraClean 24x24 washable, I am very impressed with the job, we had some roof issues this past winter and there was no broken stained tiles everything cleaned up like new. I will use these tiles anywhere we want to avoid staining from above or below.